For the residents of Dharavi in Mumbai, known to the world as Asia’s largest slum, the run-up to elections is special — it is one of the few occasions that they get to see a politician. With about a million people, Dharavi was a key constituency for those wanting to get elected to the Lok Sabha this year. It’s also economically important, with an annual turnover of Rs 30 billion (and that’s just what’s declared). 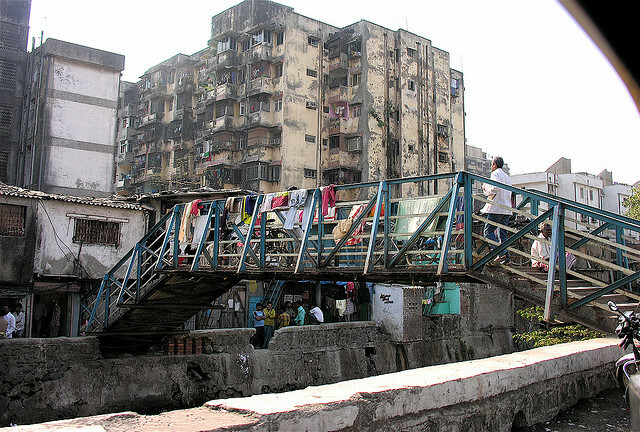 Dharavi may be poor, but it sits on a prime location as far as property developers are concerned. Successive waves of politicians have attempted projects to move the slum’s residents into new housing, and allow private businesses to move in. Ballaji, 24, works in the family trade, making flower chains for weddings and other celebrations. He has a six-week old son and is keen that his young family have a secure future. He is dismissive of the politicians who come for their votes. He said the election period is the only time government workers come to help clear the rubbish from inside the slum. Ballaji said he did see one politician visit the slum in the run up to the vote, but it was the first he had ever seen her. He didn’t even know who she was. “She was walking around the area,” he said. “I don’t know why she came here, maybe to gather our votes. I saw her only that time. “Maybe I’ll see her again — maybe after five years.” he added. Ballaji also works as a slum tour guide. He loves Dharavi, and spends his time showing tourists the richness of the community and its entrepreneurial ethos. But he had few kind words for politicians and developers. Ballaji said that times were hard for many of those trying to make a living in the slum. His flower business was no longer blooming. “Business is going down. Nowadays no one wears flowers in their hair,” he said. But Ballaji wants to stay in Dharavi with his family, as it has everything he needs. For him, the slum development schemes touted by politicians would just mean him being uprooted from his community. Turning off a busy main road in Baroda, the scene suddenly becomes tranquil, away from the hustle and bustle of city life. 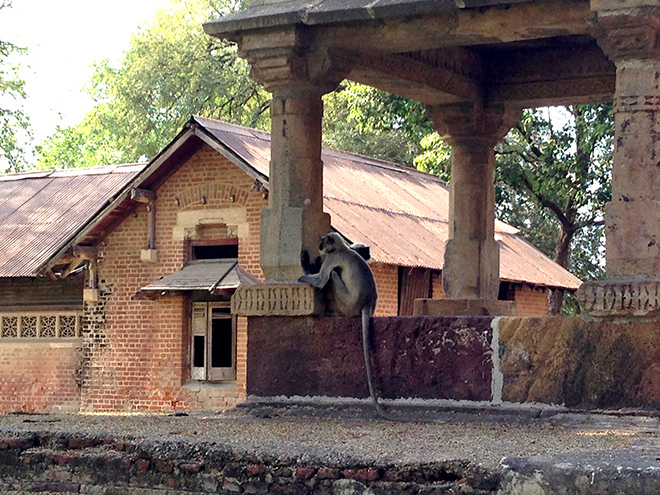 Ahead is the majestic 19th century Laxmi Vilas Palace, an Indo-Saracenic Revival building surrounded by acres of flat grass complete with golf course, monkeys and peacocks. 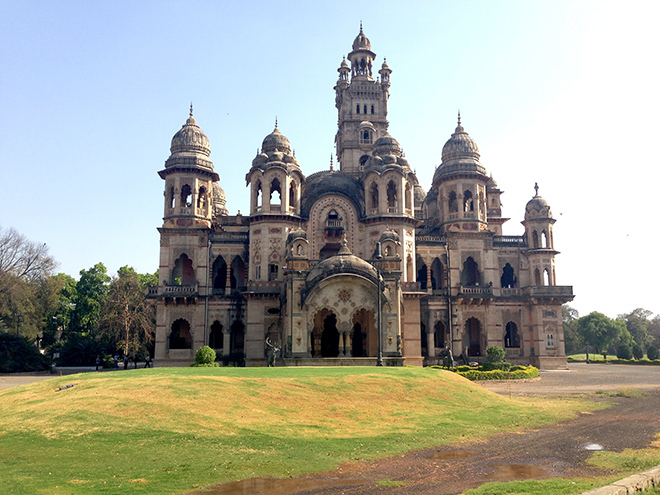 This is the home of Shubhanginiraje Gaekwad, the rajmata (queen mother) of Baroda. After a long hiatus, she has made a political comeback as one of those who proposed Gujarat chief minister Narendra Modi’s candidature for the Lok Sabha constituency of Vadodara. We wait in a large room adorned with paintings of royals past, piles of books and a chandelier fitted with energy-saving bulbs. After a while we are invited into a bookcase-lined room to meet the rajmata, who sits at the head of a long table, her iPhone in front of her. On the wall is an old map of what was once the kingdom of Baroda, one of the wealthiest princely states, whose Maratha monarchs were among just five Indian rulers accorded a 21-gun salute by the British Raj. Shubhanginiraje’s husband, the late maharaja Ranjitsinh Pratapsinh Gaekwad, was known for his passion for the arts and cricket and for his paintings. He was also elected twice (1980, 1984) to the Lower House of Parliament on a Congress ticket. The rajmata herself contested the Lok Sabha elections twice, once as an independent candidate in 1996 in Baroda and again as a Bharatiya Janata Party candidate in 2004 from next-door Kheda but without success. She speaks to Patrick Ward on Modi, Gujarat, communalism and Rahul Gandhi. Does your nomination of Narendra Modi mark another attempt to enter the political fray? If so, why now? I don’t know. When Mr Modi decided he would like Baroda to be his constituency, I was one of the persons he asked and I agreed because I am glad we are getting someone like him to represent us. I am supporting the BJP for these elections. 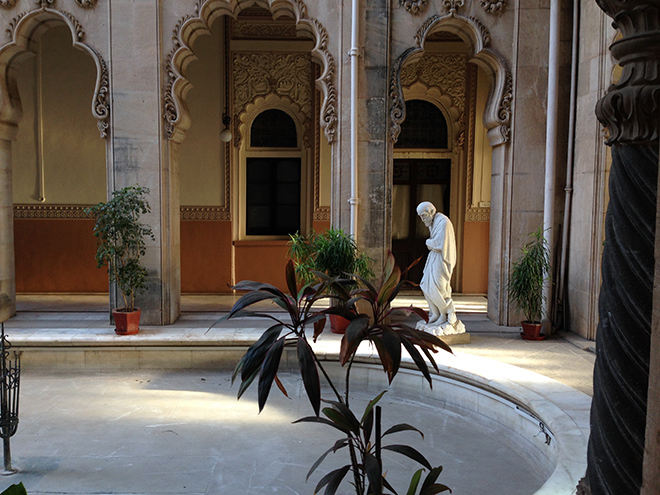 The people of Baroda don’t forget us. They still remember us. Why did he ask you and why did you agree? I can’t say why he asked me. Probably he wanted my family’s support. He wanted people from all walks of life to support him and I am not his only proposer. Also, I think he wanted to pay respect to our family and the work done by them. You talk to people in town and they still remember the good administration they received during the reign of the Gaekwads. This was during British India, of course. I appreciate Modi because of the credit he gave. Most often, people want credit for themselves. So I appreciate it when someone like him in his position thought of giving due credit. No one would have thought about it if he didn’t mention it. No one would have missed it. This is something from over 100 years ago. Did you know that there was a book published in the times of Maharaja Sayajirao about learning the ropes of good administration? Modi actually got it translated into Gujarati and English and gives it to all his administrative staff. “I give this book whenever new officers come so they can learn something from it, even how to deal with each other, but they would learn the good administration that prevailed in Baroda state,” he said on the day he signed his nomination papers. In a six-minute speech to talk about this for 3-4 minutes is quite telling. 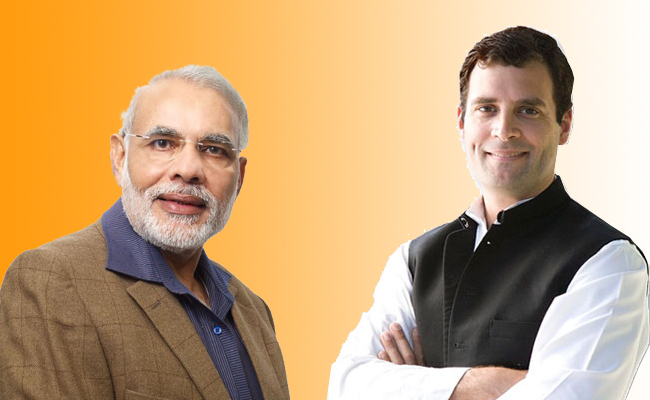 There’s talk he might win both Vadodara and Varanasi and will have to choose between them. If he gives up the Vadodara seat, would you or your son Samarjitsinh be interested in contesting the by-election? That is for the party to decide. I have no idea just now. I might consider it if they think it is the right thing to do. Most often, when royalty enters the political fray in India, they do very well. Why were you unsuccessful in those initial rounds? Once I stood as an independent, so that was a little tricky because there are two big parties against you. Voters were also fewer in number and I remember the race was neck to neck. I got exactly one-third votes. The Congress candidate, who won that year, only won by a margin of 17 votes. It was all last minute and not much preparation had been done. There was also a lot of confusion. Most people always associated my husband with the Congress. That year, the Congress fielded a candidate with the same last name — Gaekwad. This got people confused in the rural areas. Today, things are a lot better; voters are smarter, more educated. The next time I stood as a BJP candidate, but I didn’t stand from Baroda, unfortunately. 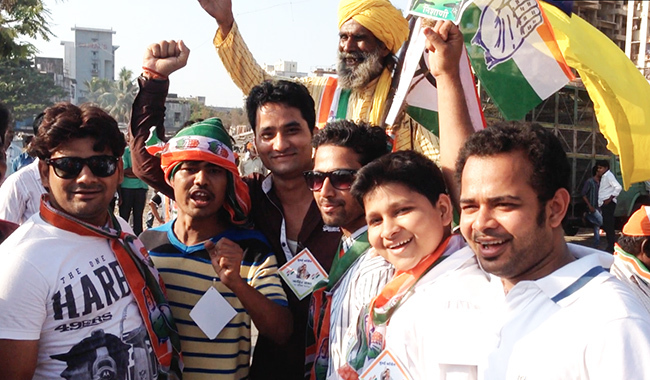 I stood from Kheda, a stronghold of the Congress. The sitting MP was there for two terms, and I told the party I was not at all keen, because I knew I was stepping into a disaster. At that time, (Atal Bihari) Vajpayeeji personally requested me and I got pressured. I said, “I think I’m going to lose, but because you telling me to stand, I will do so.” So I went and followed my party’s orders. Are you politically active? Do you attend party meetings? No, I haven’t been very active since. When I stood independently, my husband had left the Congress. Before that he was not active and was totally disillusioned with the party. But having been in the party, he didn’t want to go and join another party. His temperament was not to jump from one party to the other. So he left the party. Otherwise he wouldn’t have canvassed for me. He did more campaigning for the BJP later. 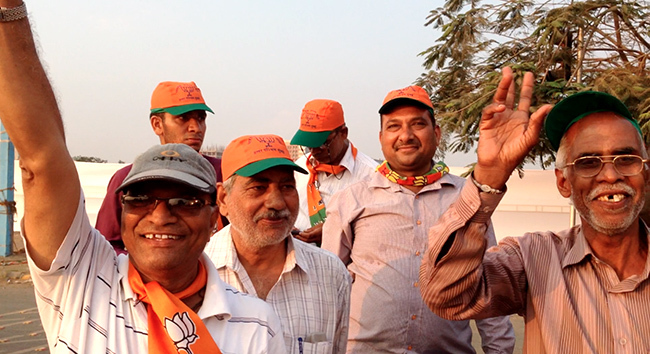 He even campaigned for the BJP candidate in Baroda. Why do you think the BJP is a good option? They are a good option. What other choice do we have? Surely we can’t have (Congress vice-president) Rahul Gandhi? What are his credentials? He hasn’t proved himself by being a minister in a Cabinet, he hasn’t done a day’s job in his life. He hasn’t proved himself in any task. I feel, as a young man, one at least ought to go out and earn one’s living. All our young boys and girls are working so hard. But look at him. Here he is, a young fellow, accept him as prime minister. Why? What has he done? Our country is so very diverse and complicated. It is not the same, every part is different. You need someone to have thought about these things deeply. Someone who is mature, and it is not just his age that’s an issue. Some people do their best at a young age. But he has done nothing. Can Modi reproduce what he has done in Gujarat across the country? He can try. At least you have a man who has sincerity of purpose and does his best. He has been working hard for the past 12 years in Gujarat. At least he’ll try his best. He is from the grassroots, he knows what is life, he has seen that. In all areas of Baroda constituency, he will definitely do very well. I am sure he is going to win, there is no doubt about that. I am sure he has already gauged that, which is why he has come here to a seat he was sure to win. He knew he was not going to devote much time to Baroda constituency, or any constituency in Gujarat for that matter. So, obviously, he was looking for a safe seat. He is concentrating on all parts of the country now, how much can he be here? He is a good choice. They need someone who has drive, who has charisma, who can attract people with his talking. As a prime minister, Manmohan Singh is educated, probably much more educated than Modi, but he could not make a good prime minister, people never related to him. And then, of course, there were these two power centres, which was so pathetic. It’s disgraceful, the office of our prime minister has been degraded thanks to the Congress president. Once a person is on that chair, we have to respect that chair. What should Modi’s priority be should be become prime minister? It should be to bring efficiency to the administration because the common man suffers because people who should be doing their job, don’t. Especially in government offices, applications should be dealt with in a swifter manner. People should be tended to, but people don’t do their job. Also, great reforms need to be introduced in our judicial system. People wait for years to seek justice, but even after 40, 50 years, they don’t get it. Lastly, a lot of attention has to be paid to infrastructure. Some people keep talking about it because they don’t want the people to forget about it. People just want to let it be, forget it and carry on with their lives. Everybody wants to move on. The youth is not bothered. They want jobs, they want to earn a living, they want infrastructure. Communalism is always raised as an issue by politicians. They want to make an issue where there is no issue. I don’t deny that it is an issue, but it is prevalent all over the country. It is not like Gujarat has more of it than any other part of the country. No doubt, what happened in Gujarat was sad, but the Congress government at the Centre has always harped on this as this is easy for them. They want to keep it fresh in people’s minds so that people outside the state believe the situation is worse that what it is. We have had communal riots in Gujarat for many years. Even when my husband was in Parliament we had problems, but it was instigated by some local goons. When there is a Hindu festival, there is a problem and vice-versa. These situations are just manipulated most of the time. So you think the Congress raising the issue can create divisions? Exactly. What was the need for (Congress president) Sonia Gandhi to call the imam of Delhi to her office and tell him, “Please tell all the Muslims to vote for the Congress”? You can’t do that. You may tell him in private, that’s all right, but you can’t call him and tell him and make an official statement on television. This means you are already dividing the country and its people. Why are you dividing them on the basis of religion? Let anyone vote for the Congress, let anyone vote for the BJP. What about the hate speech made recently by Vishwa Hindu Parishad leader Pravin Togadia? There are a few people like that, talking rubbish. But there are people like that on all sides. You can’t go on controlling the way people talk and elections only make people fiercer in their speeches. Politicians talk like that to divide the people, but as a party, the BJP has not tried to do that. Modi has tried to bring people together. The Congress, on the other hand, has only tried to appease the minorities, especially the Muslims, which I don’t agree with. Why appease them? Why aren’t there the same rules for everybody? Why can’t they follow the law of the land? This only makes other people irritated about the situation, causing an anti-Muslim vibe. This is the policy of the government, which benefits a few people. This interview was also published on Rediff.com, our media partner. 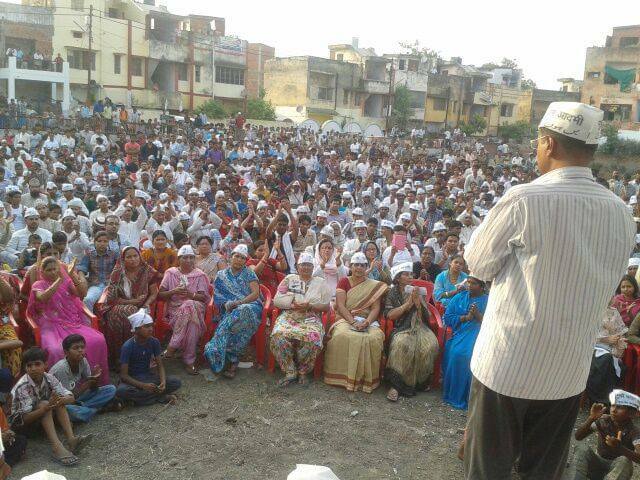 Can Arvind Kejriwal be a giant slayer in Varanasi? As the 2014 Lok Sabha elections begin to wind up, the BJP and Congress have intensified their mudslinging — even as one man continues to draw people to his cause. Arvind Kejriwal, 45, leader of the Aam Aadmi Party, is looking forward to a successful outing for his party, especially in Varanasi where he will contest against the Bharatiya Janata Party’s Narendra Modi. His message, which can be summarised as ‘Congress is corrupt and BJP is no better’, has not changed since his campaign began. In Varanasi, he told people to vote for his party or risk a gas price hike. Unlike the Congress, accused by Modi of allegedly favouring Priyanka Gandhi’s husband Robert Vadra, and the BJP, accused of allegedly supporting the business interests of the Adani group of companies, Kejriwal seems to be concerned with what could be called a people’s model. He repeatedly told the crowd in Varanasi, ‘I am a fakir’– a poor man. At some point, he said he had only Rs 500 in his pocket. This attempt, at various points in his campaign, to connect with the common people and present himself as one of them seems to have widely increased his popularity. He was recently named Time magazine’s most influential man of the year in its annual readers’ poll, pushing Modi to second place. He also dominated the list of the most-watched politicians on YouTube. However, the contest he would love to win most of all is the Varanasi Lok Sabha seat for which he is pitted against Modi. He has said that his attempt to defeat Modi in Varanasi is not a battle of prestige but an attempt to save the country from the corrupt forces of the BJP and Congress. Kejriwal also hopes the AAP’s candidate in Amethi, Kumar Vishwas, defeats Congress vice president Rahul Gandhi. Modi has some reason to be worried because Kejriwal’s popularity is not just online. 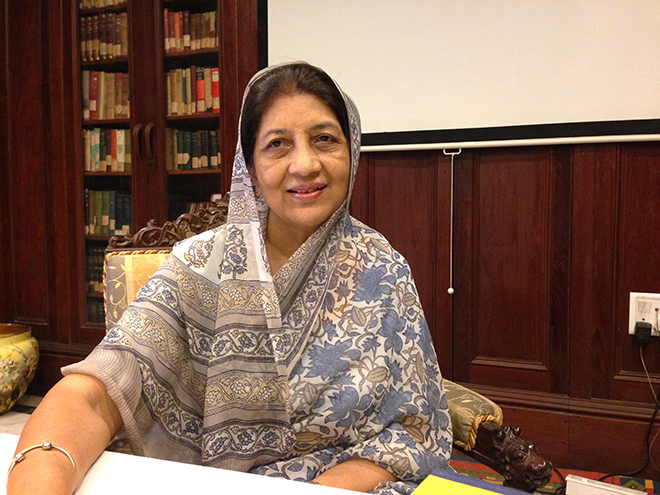 In December 2013, he defeated three-time chief minister of Delhi Sheila Dikshit in her own constituency. And he was only a rookie at the time. Apart from Varanasi, Modi is also contesting in Vadodara, his home turf in Gujarat, an act some people have referred to as cowardice. Whether or not that’s true, winning in Gujarat and losing to Kejriwal in Varanasi would be an embarrassment to Modi. Will Kejriwal be the pawn that checkmates the king? This story was also carried in WoNoBo, our media partner. You would have to have been living under a rock wearing cast iron earplugs not to have known there was an election going on in Mumbai. Weeks of rallies, megaphone wielding volunteers and mass leafleting sessions have been part of daily life here in India’s biggest city, and it would be difficult for any of its 13 million inhabitants not to have walked under the smiling faces of the major candidates as they peered down from massive billboards along every main road. So there wasn’t much else on the minds of Mumbaikars — those who were awake, that is — from 7am on April 24 when the voting stations opened. The streets were strangely quiet — it being a public holiday — with even cabbies nowhere to be seen, and the air rather still, where there was usually the unending cacophony of car horns. I spent the day in several areas of Mumbai South. The constituency is probably one of the most representative of Mumbai as a whole — from the slums of Byculla to the luxurious gardens of wealthy Malabar Hill. 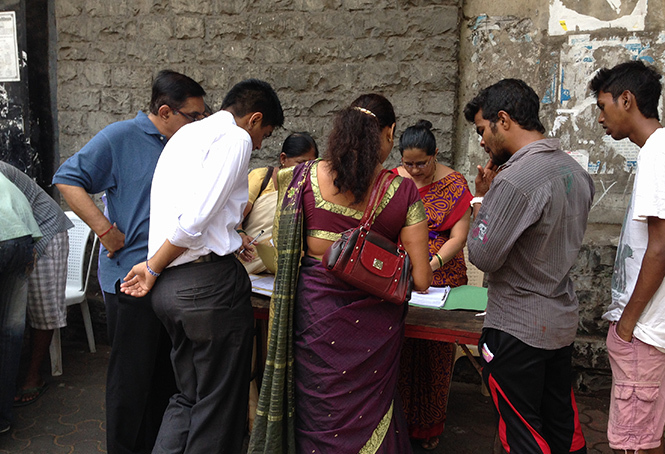 At a polling station on touristy Colaba Causeway, the first voters came in dribs and drabs from just after polls opened. The first were the older generation, who unanimously spoke of their pride and duty in taking part in the poll. Eric Roche proudly presented his inked finger. He said his priorities in choosing a candidate were development and unity. “Uniting people is very important, or there’s fighting all over,” he said. Several others made the same point about prices, but some, like T B Delal, said that in order to achieve this a stable government was needed. “There’s no point in voting for regional parties,” he said. But for Kamal, a young woman who stopped to vote on her way to work, the important issue could be summed up in one word: secularism. “I’m confident of the result,” she said over her shoulder as she briskly continued down the street. 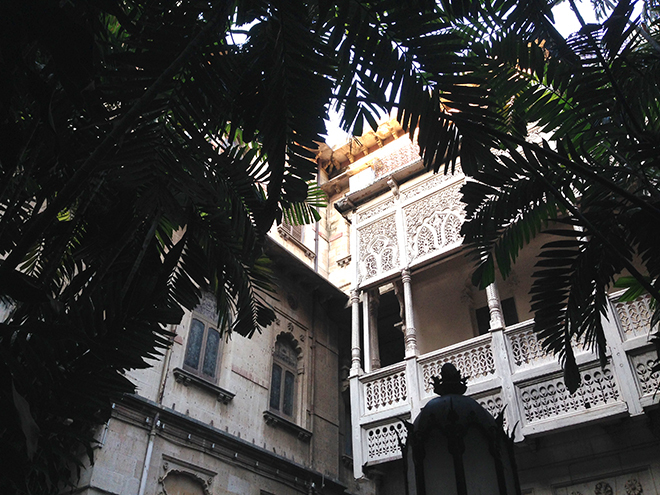 Colaba is a mixture of the various elements of Mumbai. To see what the richer folk think, I took a trip to Malabar Hill – the wealthiest part of Mumbai, and possibly all of India. Interestingly, the framing of the election issues had suddenly changed — now it seemed to be, who would best represent the local Marathi population? At that point Sanjay pulled up on his scooter, its front adorned with a Shiv Sena sticker. “I’m not sure who’ll win,” he said. “Marathi votes are divided.” But if Shiv Sena and the BJP get the man in they want, “there will be 100% change”. The final part of the jigsaw that is South Mumbai was Byculla — a mixture of Marathis, slum residents and minorities, a far cry from the glistening glass high rises of Malabar Hill. At one voting booth a stone’s throw from the market, the final groups of voters were coming in. Shailesh and Raika came with their children. “People want change,” said Shailesh, “and they are all coming to vote today for that.” He said that corruption had to be tackled, because it could be seen all over the world. For his wife Raika, it boiled down to one thing: “Security for women.” “Write good about our election,” she said as she left, kids in tow behind her. He said he had seen thousands of people through the day, and that his polling station had seen a high turnout. “I’ve been working for the past two days, but I’m proud to do that,” he added. Mumbai saw a 53% turnout on the day, an 11% increase on 2009 but still lagging behind many other parts of India. Mumbai South saw 54%, not a huge improvement. But it seemed that political understanding was quite high among Mumbaikars, at least about what issues were important to them. Perhaps, with fears over disunity under Modi, corruption under Congress, and the unknown territory of the new Aam Aadmi Party, there was some hesitation in making their electoral mark. But it’s clear that whoever wins will have a difficult task to please the diverse mix of residents in Mumbai South. When India voted, did Mumbai really not care? The scorching heat coupled with Mumbai’s humidity did not stop her. Nor did the serpentine queue. Wiping the sweat that trickled down her forehead, Pratima Gupta, 48, was determined to exercise her democratic right to vote. Standing in line at a polling booth in Mumbai on April 24 when the city had its turn at the 2014 Lok Sabha elections, Pratima raised concerns over the worsening weather, aberrant to the island city, and sometimes, even the current government. As a mother of two, the safety of her daughters, the scope of employment, and a stable economy are only a few of the many issues Pratima wants her elected government to resolve, though she acknowledged that Mumbai still has a gloss that other cities lack. “Elsewhere, opportunities are few and the environment conducive for women to make the most of opportunities is lacking,” she said. 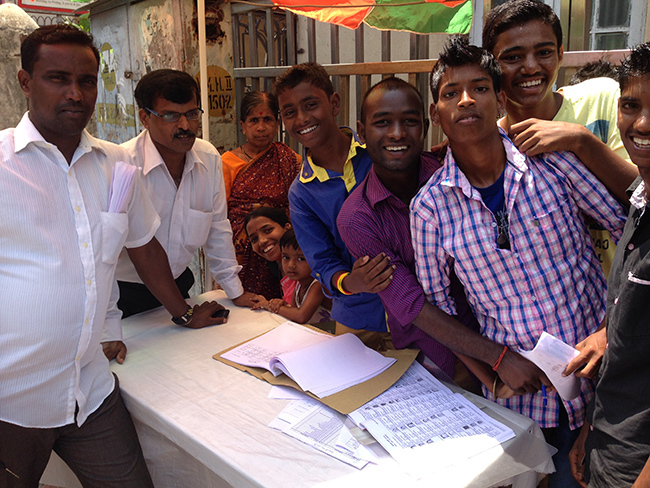 But better than other cities or not, Mumbai’s active voters on April 24 still felt there was room for improvement. For women, safety was the biggest issue since, over the last 10 years, Mumbai has lost its famous ‘always safe’ tag. As 20-year-old Rani said, “I am voting today, so that tomorrow I can walk on the road without fear.” And for young people in general, as 24-year-old Akhilesh Gupta said, work was important. “We hardly have jobs. I want the government to generate more jobs,” he said. But though 11.98 million Mumbaikars share each other’s apprehensions, in 2014, only 51.98 per cent of the city’s eligible voters thought it was important to be part of the democratic process that will determine who rules for the next five years. Yet, this figure is better than that of the 2009 elections, when despite the fury after terrorists from Pakistan held Mumbai hostage for nearly a week in November 2008, the polling percentage was an abysmal 41.4 per cent. Mumbai’s lack of involvement in the democratic process can be baffling. Even a watchman at a polling booth on April 24 commented on it. “We expected a horde of people to turn out today, but…” he said helplessly, gesturing towards the sparse crowd. Though some part of Mumbai’s relatively poor voting figure in the 2014 Lok Sabha polls can be attributed to mistakes in the electoral rolls – some 15 per cent of the city’s eligible voter population discovered their names were not on the lists – the city does seem to have a too-busy-to-care, insouciant attitude towards elections. Rahul Phadnis, 24, didn’t even bother to register as a voter because he finds the entire process bogus. “I don’t think any change is going to come my way by voting,” he said. So political apathy is one reason why some Mumbaikars did not vote. There is also snobbery from people who can afford to buy themselves privileges that others cannot, who therefore can’t see a purpose in stepping out of their air-conditioned abodes to contribute to a larger change. Mumbai is charming, no doubt. It has a bounce-back spirit that the whole country acknowledges, that lets it take virtually anything in its stride. But that spirit is lacking on election day. And that is Mumbai’s greatest defeat. 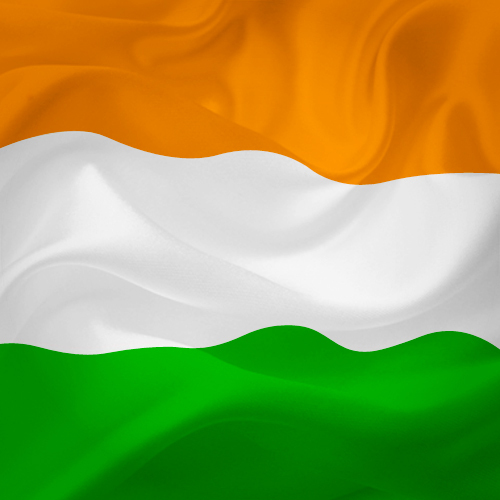 Tamil Nadu, the only state that has all its constituencies going to poll in Phase 6 of the Lok Sabha elections on April 24, has the dubious honour of having the top two candidates in terms of involvement in criminal cases. Udayakumar S P of the Aam Aadmi Party declared in his sworn affidavit that he has been involved in 382 criminal cases. He has faced 19 charges of attempted murder and 16 charges “related to waging, or attempting to wage war, or abetting waging of war, against the Government of India”. M Pushparayan, also of the AAP, comes a close second, declaring that he has been involved in 280 criminal case. On 19 occasions he has been charged with attempted murder. In addition, he has 13 charges “related to promoting enmity between different groups on grounds of religion, race, place of birth, residence, language, etc”. As well as finishing top of the criminal cases list, Udayakumar is part of the 2% of Tamil Nadu candidates who hold a doctorate, while Pushparayan has no formal qualifications. Both candidates are prominent anti-nuclear campaigners. Many of their criminal cases relate to ‘disobedience’ and ‘being members of an unlawful assembly’. The only other candidate to come close is West Bengal’s Sridip Bhattacharya, who has been involved in 58 criminal case. There are 147 candidates who have been involved in five or more criminal cases. They come from a range of backgrounds. Here is how that number breaks down. Data compiled by the Association for Democratic Reforms and National Election Watch, based on sworn affidavits from candidates. The big match took place over two hot, dusty evenings in Mumbai’s MMRDA ground in suburban Bandra Kurla Complex. It was originally billed as being Sonia Gandhi, representing the incumbent Congress, versus Narendra Modi, the resurgent upstart whose bombastic speeches are taking the country — or at least part of it — by storm. A few substitutions later, it was eventually Sonia’s son Rahul Gandhi who wore the Congress colours, while Modi formed a tag team with ally and Shiv Seva president Uddhav Thackeray. Tens of thousands of people attended both events — and it was difficult to discern which side won on numbers. Either way, it would have been a good night for taxi and auto-rickshaw drivers, as crowds swarmed in from around the state to support their man. The Mumbai police said it was actually Rahul Gandhi who gained the edge, bringing what they say were around 50,000 supporters, while the BJP and allies had “just” 40,000 for the BJP and allies. The crowds at the Congress rally seemed younger and more energetic as they stood on the road waiting to enter the rally. People wore the party colours as they swarmed towards the security gates at the entrance to the main event. Their concerns were widely shared: Modi was a “fascist” without an economic plan, and relied on big business donations to spread his propaganda. But could the Congress win? “Let us hope so, because Modi’s propaganda machine is strong,” said Deepak, an older Congress supporter from Mumbai. Sonia Gandhi had pulled out of the first rally at the last minute, citing ill health. But this didn’t seem to dampen spirits too much. People liked Rahul’s more combative speech, as he took on Modi’s “divisive” politics and boasted of how many Maharashtra residents the UPA had pulled out of poverty. As his speech drew to a close, dozens of his supporters crammed their way into the hitherto tightly controlled press area, pushing themselves to the fence to shake his hand. Modi’s rally the following day did seem busier, but the crowds outside were more organised as they shuffled their way through the metal detectors into the audience area. There was less chanting, and fewer people had made the effort to decorate themselves with their party colours than the previous day. But it seemed to be more politically plural — among the BJP members were significant numbers wearing Shiv Sena badges and Republican Party of India-Athavale sashes. Orange and white cut-out masks of Modi were worn by many, of various political backgrounds. Businessman Deepak Desai said Modi was a man with a “vision”, who stuck to his plans “right or wrong”. “Modi put Gujarat on the world map,” he said. “Things happened in the past with the riots. But to go ahead you have to keep going forward.” He added that there were many Muslims in the BJP as well. There was at least one Muslim at the rally. But ‘Sameer’ (name changed), a young man from Mumbai, said he was a Congress supporter. A few teenagers were happy to speak about Modi. Why did they support him? “We just go with the flow,” said one of them, before an older man, who seemed to be the head of their delegation, pushed in front of him to explain Modi’s appeal — Gujarat, strength, a bright future. Modi’s speech seemed to get a better reaction from the crowd than his rival’s. There were bouts of applause and standing ovations, and chanting intermittently erupted across the area. His speech was far longer, too, lasting nearly an hour compared to Rahul’s 35 minutes. He wanted India to match South Korea’s standing in the world, he said, and accused his opponent of “poverty tourism”. Several hundred of those gathering were eager to leave by this point, and started to make their way back out of the enclosure. Others weren’t so happy about that, and cajoled them, with some even blocking their paths. As for who won, the crowds seemed relatively evenly matched, and while Rahul was in good form he didn’t seem to be able to compete with the bruising words of Modi. Also, while the Modi crowd may have had a more conservative feel about them, their enthusiasm was more widespread. As the masses made their ways home — on what could be considered, if nothing else, several good nights for taxi drivers — clouds of dust rose from the arena and spread into the Bandra streets. It will settle soon, in a few hours, when Mumbai goes to the polls.